What an awesome concert this was! Elvis was simply explosive! I love the way he attacks some of the early rockers, especially That's All Right and Long Tall Sally. I think these are my favourite performances from this period. Elvis' energy and enthusiasm is palpable. Bob Lanning's punchy drumming seems to lift things up a notch as well and the band is generally tighter and more polished than it was in August 1969. This is particularly noticeable on some of the ballads. Elvis gives superb renditions of Inherit the Wind and Kentucky Rain. He still has the raw power on the rockers but has developed a smoother vocal on the slower songs. I personally think he sang the ballads better in 1970 than in 1969. I really like the mix of songs in this concert. It includes Walk a mile in my shoes, which is one of my favourites. Polk Salad Annie is another, although it hasn't quite been perfected yet. There are better versions later in 1970. 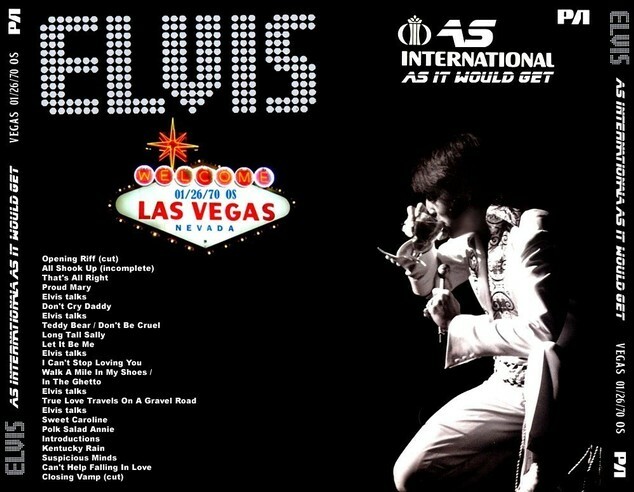 This concert reveals Elvis at the top of his game and it makes for an exciting listen.